Lord Edward Carson, the godfather of Ulster Unionism and the first signatory of the Ulster Covenant reflects on the pivotal moments of his life as he waits to be painted by Sir John Lavery. And so the scene is set for Paddy Scully’s breathless deconstruction of a the man who still undoubtably casts Ulster’s longest shadow. Scully’s Carson is deeply complex, capturing the fire and brimstone of the talented orator at his most verbose and the quiet, deliberation of the politician who was as Irish to the bone as he was Unionist to his core. 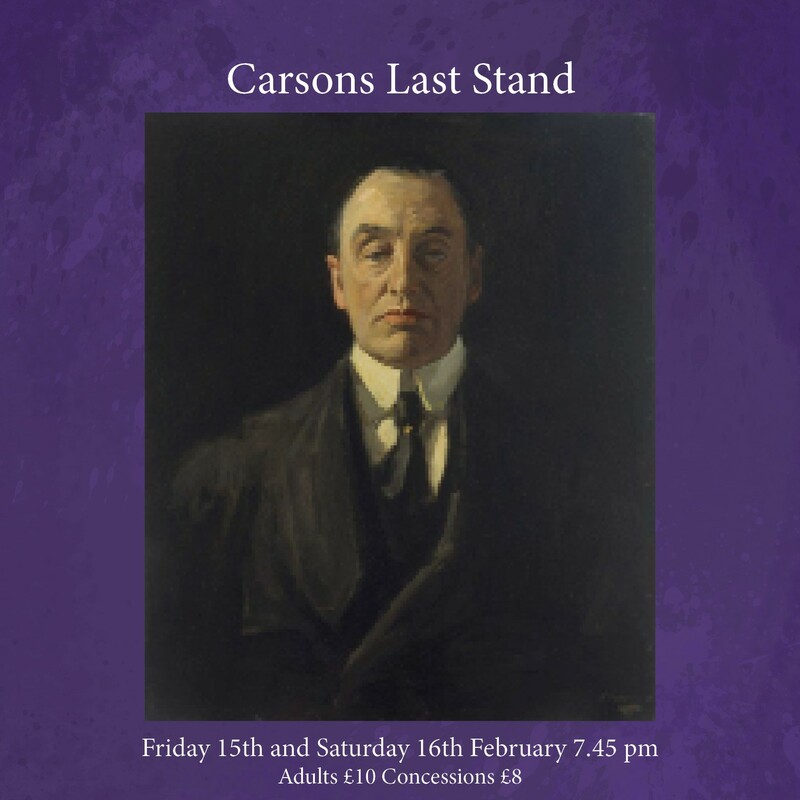 Carson’s Last Stand, like the man himself is bold, unflinching, complex and engaging. A wonderfully moving piece of theatre not to be missed.